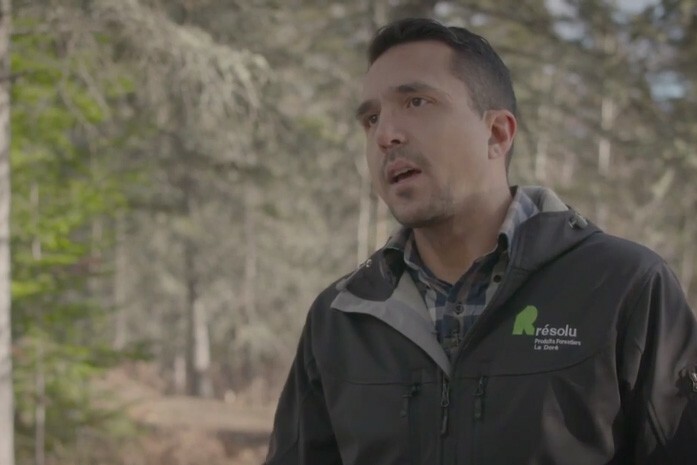 For people living in boreal communities, the forest is not simply a resource; it’s part of who they are and they’re deeply motivated to protect it for the future. Considering misinformation from Greenpeace, ForestEthics (now called “Stand”) and other like-minded activists, it’s important that we share these kinds of stories, providing a voice to the people of the Canadian boreal forest. Today, Dennis Brown, Mayor of Atikokan, Ontario and Richard Hébert, Mayor of Dolbeau-Mistassini, Quebec, tell us how the future of their boreal communities depend on carefully balancing environmental, social and economic considerations; and Sylvain Goulet, General Manager of Resolute’s sawmill in La Doré, Quebec, and a fourth generation forestry worker, discusses his family’s deep personal connection to the boreal. These videos run just over two minutes each.